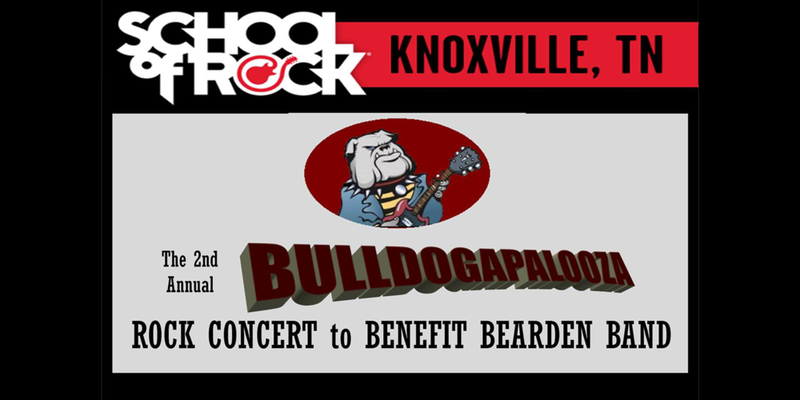 Bulldogapalooza is a benefit concert where 100% of the Net Proceeds go to benefit Bearden High School Band. Tickets will be available through Bearden Band Boosters, School of Rock, Knoxville, and the Open Chord. School of Rock is looking for members for the Bearden Band (and staff!!) (all sections) that would be interested in performing in the event, either along with the SOR band or solo/group. Last year we had several horns join us for hits like Superstition, Burning Down the House, James Brown & The Rolling Stones and we hope to have more participation this year!